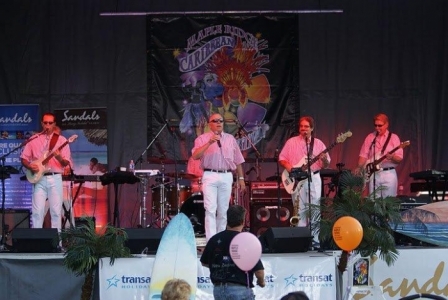 Find a Beach Boys Tribute Band for hire near you in minutes! Option 1. Enter your event location below & contact a Beach Boys Tribute Band directly! Option 2. Request multiple quotes from available Beach Boys Tribute Bands Get Quotes! Option 3. Read information & advice on hiring Beach Boys Tribute Bands Read Advice! WANT TO KNOW MORE ABOUT Beach Boys TRIBUTE BANDS? 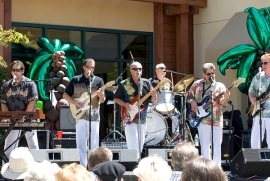 Looking to hire a Beach Boys Tribute Band to play some surf music at your event? A Beach Boys Tribute Band will play all of your Beach Boys biggest hits at your special occasion! Read on for the most comprehensive guide to booking a Beach Boys Tribute Band, including how much a Beach Boys Tribute Band costs, exactly what they will do at your event, plus tips, advice and information to help make your event one to remember! 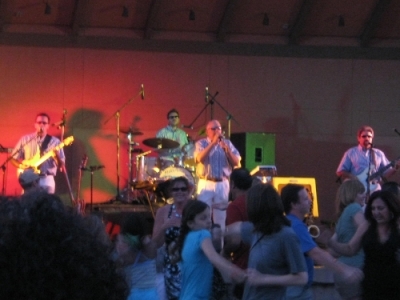 WHAT EXACTLY WILL A Beach Boys TRIBUTE BAND DO AT YOUR EVENT? God only knows what we’d be without The Beach Boys! The Beach Boys began surfing on our airwaves in the early 1960s and for the rest of the 60s and 70s, earned themselves a place in the hearts of millions all around the world. The Beach Boys managed to mix Rock ’n’ Roll with crisp vocal harmonies and jingly guitar sounds to create the perfect soundtrack to surf to and to dance to! Hire a Beach Boys Tribute Band for your event, and you will get a group of professional musicians which will at the very least, will include a guitarist, a bass player. a drummer and a keyboardist/pianist. With the complex yet beautiful vocal harmonies of The Beach Boys, you can bet that all members of the band will be attempting the vocal duties! The Brian Wilson impersonator will recreate the high-pitched vocal melodies that The Beach Boys became synonymous for, all the while embracing the amazing music of The Beach Boys sound! When you hire a Beach Boys Tribute Band, you can expect the best of the Beach Boys to be played, without excluding one of their hit songs! Mainly, a Beach Boys Tribute Band will entertain your audience with a fantastic live show that will put the wow factor into celebrations and impress your guests, whatever their entertainment tastes may be. WHAT EVENT TYPES ARE Beach Boys TRIBUTE BANDS HIRED FOR? With a Beach Boys Tribute Band set up to play at your wedding ceremony, you know you’re in safe hands! Such was their talent, that the Beach Boys covered a high amount of musical genres, so whatever atmosphere you are looking to create at the wedding ceremony, you can rely on The Beach Boys Tribute Act to bring the goods! As the bride is walking down the aisle, you can request that the Beach Boys Tribute Band perform a live version of something tear-jerking such as ‘God Only Knows’, which is one of the most celebratory love songs ever! Why not also request them to play the uplifting ‘Wouldn’t it be Nice’ for when the couple have been offically announced as man and wife?! This song would create an extra special moment for all as it contains the relevant line ‘We could be married, and then we’d be happy!’. You may be looking for that perfect form of live music for your wedding drinks reception which isn’t too rocky, yet isn’t too soft? Well, The Beach Boys had that perfect balance! Hire a Beach Boys Tribute Group for your wedding drinks reception and you will get a professional and experienced bunch of musicians who will use their musical talents to play the hits of the Beach Boys! You can request that for the wedding drinks reception,The Beach Boys Tribute Band simply play a stripped down set as a 2-piece or a 3-piece. For the wedding drinks reception, we would request songs such as ‘Kokomo’ and ‘Don’t Worry Baby’. Book a Beach Boys Tribute Band for your wedding breakfast entertainment and you will be spoilt for choice with the songs on offer! The Beach Boys Tribute Act can be set up to play as your wedding guests are walking into the venue, playing something atmospheric and upbeat such as ‘Barbara Ann’ and ‘Help me Rhonda’. Hopeful and optimistic sounds for all of your guests! We would also recommend that The Beach Boys Tribute Band play songs after the wedding speeches and during the cutting of the wedding cake! An ideal soundtrack to the start of a married life! Search our directory for the best Beach Boys Tribute Bands in your local area, and you will find a group of musicians who will play their hearts out at your wedding evening reception to give you that uplifting Beach Boys vibe! For the wedding evening reception, we would suggest to request the band play something such as ‘Surfer Girl’ for the couples first dance, which will be a beautiful and touching way kick off celebrations! The Beach Boys Tribute Band will then lift everyone’s spirits even higher by playing classic 1960s tunes such as ‘Fun Fun Fun’, ‘Surfing USA’ and the majestic ‘Do You Wanna Dance?!’. You may be looking for the perfect form of entertainment for your corporate event? We would strongly recommend booking a Beach Boys Tribute Act to break the ice! no matter what age you are, everybody has at least one Beach Boys song that they cherish! Whether it’s an end of the financial year party, or a colleague’s leaving party, a Beach Boys Tribute Band will go down a storm! You might be looking for musical entertainment for the work Christmas Party? The Beach Boys Tribute Act would be ideal due to the fact that they released a Christmas album entitled ‘The Beach Boys Christmas Album’ in 1964. This album included classic Christmas songs such as ‘Little Saint Nick’, ‘Frosty the Snowman’ and ‘Santa Claus is Coming to Town!’. A Beach Boys Tribute Band would additionally be great to hire for your trade show or for your product launch, where they will automatically engage the audience with hits that they’ll find nostalgic and incredibly moving and uplifting! As soon as the opening bars to ‘God Only Knows’ plays, you know that your product will be boosted and hopefully sales will go through the roof! If you’re hosting a 1960s themed party this year, then you may be considering which live musical act to hire. A Beach Boys Tribute Band would be ideal for a 1960s themed party as along with The Beatles and The Rolling Stones, The Beach Boys encapsulated the 1960s music scene! With classic albums such as ‘Pet Sounds’ and ’Surf’s Up’ the Beach Boys will bring out the good vibes for the pleasure of all your party attendees! You can expect all the big hits of the Beach Boys including the incredible ’Good Vibrations’, ‘Surfin’ Safari’, and the sensational ‘I Get Around!’. The Beach Boys will suit an array of parties including birthday parties, anniversary parties, Christmas parties and more! HOW MUCH DO Beach Boys TRIBUTE BANDS COST TO HIRE? Our simple to use entertainment directory allows you to firstly search for the best Beach Boys Tribute Bands who are local (or travel to your area) and then via the contact form you may message them directly to enquire for a no obligation quote to perform at your event. Some acts will also add a rough price guide to their profile for your convenience. WHAT ARE THE USUAL SET FORMATS AND PERFORMANCE LENGTHS FOR Beach Boys TRIBUTE BANDS? A Beach Boys Tribute Band can tailor their performance times to suit you and your event, however, on average a professional Beach Boys Tribute Band will perform for two 45 minutes sets. HOW MUCH SPACE WILL A Beach Boys TRIBUTE BAND NEED AT YOUR EVENT? This will depend on how many members the Beach Boys Tribute has. If it’s a 5-piece band, then we would suggest a stage area of 5 metres wide by 3 metres deep, but we would advise to contact the band personally using our messaging service to enquire with them. WHAT EQUIPMENT AND SET UP REQUIREMENTS DO Beach Boys TRIBUTE ACTS NEED? As with most artists who sign up to Entertainersworldwide.com, a Beach Boys Tribute Band will provide all of their own equipment. You may want to enquire if an artist needs a PA to amplify their sound, in which case we would advise to use our easy to use messaging service to find out. We do ask that each performer gets a backstage area in which they can prepare for the performance ahead. If your venue does not have a backstage area, then we kindly ask that you enquire with the venue to seek an alternative space in which the performer can comfortably get ready to entertain. HOW CAN YOU FIND AND BOOK A Beach Boys TRIBUTE ACT WITH ENTERTAINERSWORLDWIDE.COM? WANT TO RECEIVE A RANGE OF QUOTES FROM Beach Boys Tribute Bands?